Recently, I’ve had several conversations with friends about experiencing “pockets of joy.” The phrase itself was new to me until I heard my friend use it, but I understand what it means – finding moments (pockets) of time when you feel true joy. I was trying to figure out how to distinguish between feeling happy and having joy, so I went to the one place that helps me define things: the dictionary. 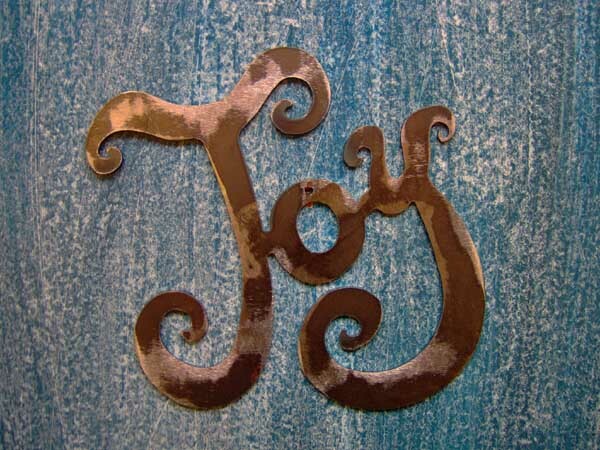 Merriam-Webster defines happy as ‘favored by luck or fortune’ and defines joy as ‘a feeling of great happiness.’ For me, joy is something much deeper than just being happy – it’s a space that allows you to be completely free. I think that sometimes there is a misconception of where joy comes from – like it has to be the result of a big, extravagant event or moment. But I know for me, not only do these pockets of joy come when I least expect them, they are usually found in the simple, quiet moments. I think this is part of what distinguishes times of happiness from experiences of joy. As I’ve gotten older, I’ve learned to really cherish the simpler things like quality time with friends and appreciating the beauty of nature, and it’s been in those moments that I have found pockets of joy. Since the marathon bombings, I can say that I’ve had some happy moments, but I also have to admit that I have not been able to experience many pockets of joy. It’s not that I haven’t wanted to, but circumstances have made it significantly harder to have that feeling. I was fortunate to stumble upon some pockets over the summer – watching July 4th fireworks with some friends in LA, learning from incredible ahimsakas in Nashville, and being with incredible people in DC. Sometimes the joy has been fleeting, but it was there and I remember it. And the memories of these moments has been what’s helped me get through the more challenging emotional roller coaster of the last 5 months. I feel fortunate to have just experienced one incredible pocket of joy last weekend. A dear friend from college who lives on the west coast was in Boston for an event. The honest truth is that I wasn’t anticipating getting to spend any time with him since he had so much going on. As it turns out, I was gifted with a ‘pocket of joy’ while he was here. I got to spend some much-needed time chatting, hanging out, and enjoyed just being with him. When it came time for him to head back to the west coast, while I was sad to say good-bye, I felt incredibly grateful and happy that I was able to have the time I did with him. One thing I appreciated about time with my friend was the fact that neither of us were in a rush – as he said, “I’m not going anywhere,” and just knowing that I wasn’t under any time constraint was freeing. I didn’t feel like I was being squeezed in between some other things he had to get to – I felt like he made the choice to hang out with me, and he was okay with it. A second thing that is highlighted in my mind is that we were both present and very much not distracted by anything – even the constant frenzy of our phones was put to the side so we could actually listen to and hear each other. Knowing that what I had to say was being heard was a powerful and meaningful thing for me. The third thing that stood out to me was the fact that we were in the same physical place. I have been blessed with friends who live literally all over the world, and while it is exciting, nothing can replace being in the same physical space as a friend. Living on opposite coasts makes this a challenge for us, so it was a gift to actually see him while we were talking and hanging out. All three of these things – not feeling rushed, not being distracted, and being in the same physical space –put together were what created this incredible pocket of joy. And I’m grateful for the email from my friend who asked those questions, because upon reflection, I was able to claim that joy back. Another friend of mine said, “I think you have to recognize that you also provided some joy for him too. Somewhere else, he is having a conversation with someone or is reflecting on how great it was to be able to spend time with you.” I never considered it from that perspective before. I was so grateful for what a gift he had given me, that I never weighed the possibility that I could do the same thing for someone else. After taking that into account, I realized that I want to be able to give joy to others as well, and that helped me reframe looking at joy. One last thought about this pocket of joy from last weekend. There were some photos posted on various social media outlets during my west coast friend’s big event. The interesting part is I had multiple people say to me that they could see the joy on my face from photos that were posted. They spoke about how my face, my smile, how I carried myself looked different because the joy I was experiencing was coming through in the photos. In reflecting on these comments that were made to me, I think it’s all linked to the elements I mentioned before about what made the weekend so joyful. But most importantly, it’s being in the same physical space that even made those photos possible. I am grateful to have those photos as a way to mark the moments of happiness and help me remember what the joy felt like. I came across this image a few days ago and I think it precisely sums up what I need to do, in order to be able to experience more joy. 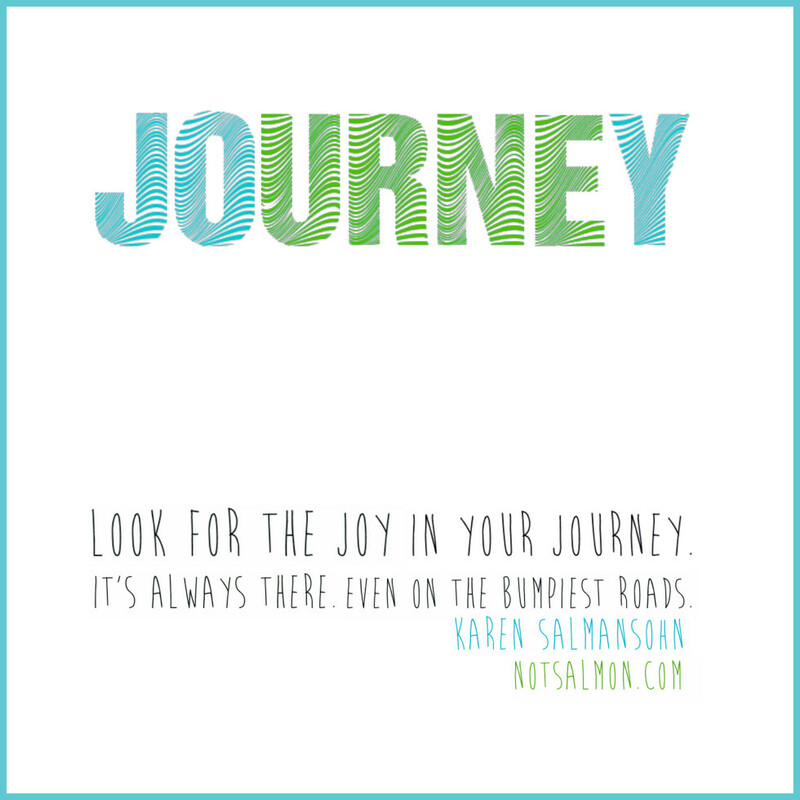 I hope that you will all join me on life’s journey – things are always better when you can do them with others.